The BEST Quality in Advertising — All the Time! You have lots of choices for your advertising dollars. You might as well Choose the BEST! 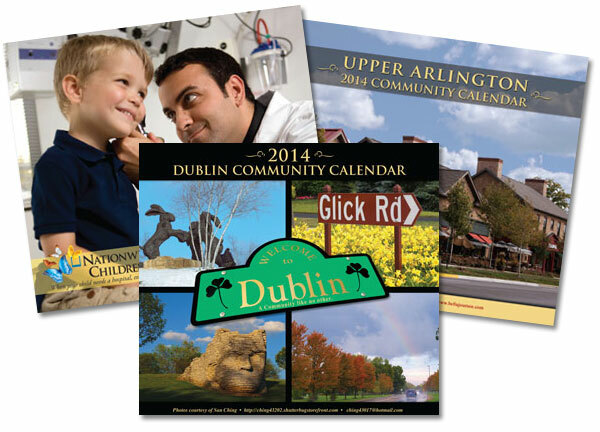 Buckeye Community Calendars is a division of HFM Publications, the premier direct-mail advertising company in Central Ohio. Our calendars are full-color, full-size wall calendars which are direct-mailed to thousands of residents in a community. They are customized with local photos, local community events and great coupons and offers from local businesses. Residents love them and our advertisers get great response. This is the MOST Popular advertising vehicle in Central Ohio. NEW! 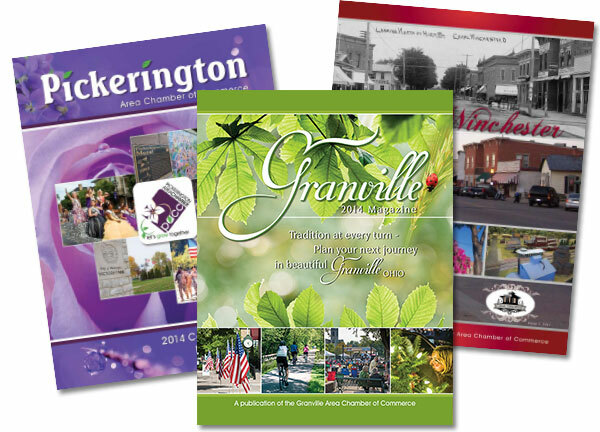 HFM Publications offers Chambers of Commerce a brilliant tool for reaching out to their communities. Introducing our Annual Community & Business Resource Guides. These guides have effectively connected to hundreds of thousands of people throughout Central Ohio and have a year-long shelf life. Chambers now have a great communication vehicle that they can offer to their members which allows them to advertise to their communities within a high-end, colorful format; with well-written articles, community event calendars, member directories, and more, with the certainty that their messages will be seen over and over again in the coming year. Time and again, postcards have proven themselves to be a fantastic return on investment. 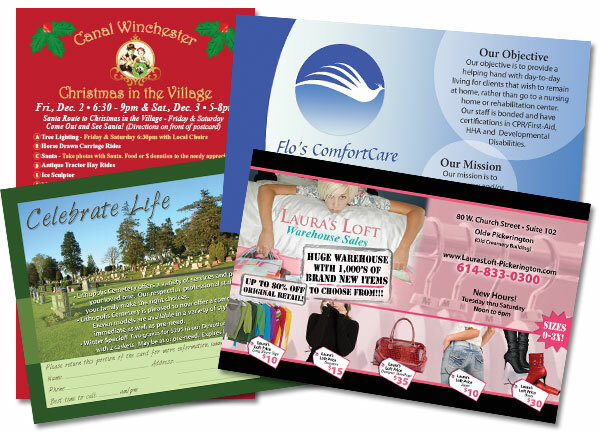 HFM Publications offers two kinds of postcards to meet your needs: Direct Mail (DM) and DAL.